Looking to replace an existing heating system or install a new heating system in Plainfield, IL 60586? Well Pure Mechanical LLC professionally designs and installs heating systems for Commercial, Industrial and residential applications in and around Plainfield, IL. Pure Mechanical offers a variety of heating system options, furnaces, roof top units (RTU), air handlers, boilers, electric heat, heat pumps, radiant heat, waste oil heaters and infrared heating systems. Pure Mechanical LLC sells, installs, services and maintains all brands of heating systems in Plainfield, IL and surrounding cities. 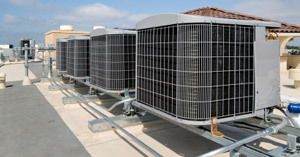 Pure Mechanical LLC sells, installs, services and maintains heating system from top manufactures like Trane, Lennox, Carrier, York, Rheem, Rudd, Bryant, Westinghouse, Amana, Nordyne, Thermal Zone, Arcoaire, Goodman and many more. Designing and installing a heating system that works best for your application can be difficult, there are a lot of factors that need to be taken inconsideration when designing and installing a heating system to insure it functions properly. Some factors are amount windows, size of duct work, and amount of insulation in walls and attic as well as the R value. You can count on Pure Mechanical to properly size, design and install your heating system and know that it will function properly. Heating system furnaces, boilers and roof top units are available in a wide range of efficiency ratings from 80% efficient all the way to 98% efficient. There are different types of furnaces, boilers and roof top units because of the different technologies used to meet energy efficiency and user comfort goals. These furnace types operate very differently. Conventional furnaces (80%) exhaust combustion gases fast and hot so the gases will exit the chimney flue before cooling and condensing. As a result, the furnace heat exchanger does not collect as much heat from the fuel combustion process as possible. Condensing furnaces (90% and higher) capture heat even after the combustion exhaust gases have "cooled" and condensed. They do this by using two heat exchangers, one for primary heat exchange and the other to handle the corrosive condensed exhaust gases of water and carbon dioxide. The exhaust gases are depleted of heat until the water condensate drips out of the furnace's heat exchanger and the flue gases escape from a plastic PVC pipe instead of a chimney. A very common misconception with heating systems is that a higher efficiency furnace is more likely to have break downs, the truth is that when a high efficiency furnace is properly installed, set-up (tuned) and maintained it will provide you with years of worry free comfort. You can count on Pure Mechanical LLC to design and install a properly sized and efficient heating system that will provides you years of worry free comfort. Premium indoor air quality is a must in your heating system; Pure Mechanical LLC installs electronic air cleaners, UV lights and humidifiers in Plainfield, IL and surrounding cities. If you are looking for a heating contractor that installs, and maintains Commercial, Industrial and Residential heating systems in Plainfield, IL Pure Mechanical LLC is the right choice. Contact Pure Mechanical for more information on replacement of your existing heating system, design of a new heating system or addition to your current heating systems. Pure Mechanical offers heating systems from industry leading manufactures at affordable prices backed with a warranty for years or worry free comfort.